La Compagnie Traversière is a French theatre company dedicated to the art of puppetry (for adults!) which creates shows internationally. Lead by artistic director Julia Yevnine, la Compagnie Traversière has presented productions in France, Ireland, Rwanda, the United Kingdom, Lebanon, Argentina and Chile. Defying language and cultural barriers, the company aims at producing devised shows that question contemporary issues, challenging social taboos present in various societies, in a daring, entertaining and visually striking way. Using the puppetry as a fun and powerful art, la Compagnie Traversière also offers puppetry workshops. Addressed to the general public who want to be introduced to this discipline, the company can also adapt the workshops to adults as well as children who have experienced particularly challenging and traumatizing situations, or to social workers who are looking for original as well as efficient means in their practice. It all began on Traversière Street, a Parisian street whose name embodies the beginning of the adventure quite well… An adventure full of paths, of crossroads and crossed destinies. Traversière in French means: that which traverses, goes through; also what’s transversal or irregular; it also refers to a shortcut away from the mainstream. All this suits the company quite well! Created in 2008 by a collective of artists, la Compagnie Traversière was first an interdisciplinary platform at the crossroad of arts, combining fine arts, storytelling and physical theatre. Since 2017, the company has changed its direction and has embarked more specifically on the road of the art of puppetry. The first theatre project of the company, “Borderline” (2008), treated of the administrative abuses suffered by refugees and asylum seekers in France, and set the tone: a theatre that is committed, incisive and fun. The company also organized and produced a two months project in Rwanda with young survivors of the genocide, giving workshops of physical theatre in several schools of the country, and creating a play with a group of them about reconciliation, a theme still very difficult in Rwanda, in spite of the severance of the diplomatic relations between France and Rwanda at the time. Between 2010 and 2015, la Compagnie Traversière worked in close partnership with Theatre Témoin in London in the creation of shows mixing physical theatre, masks and puppetry. 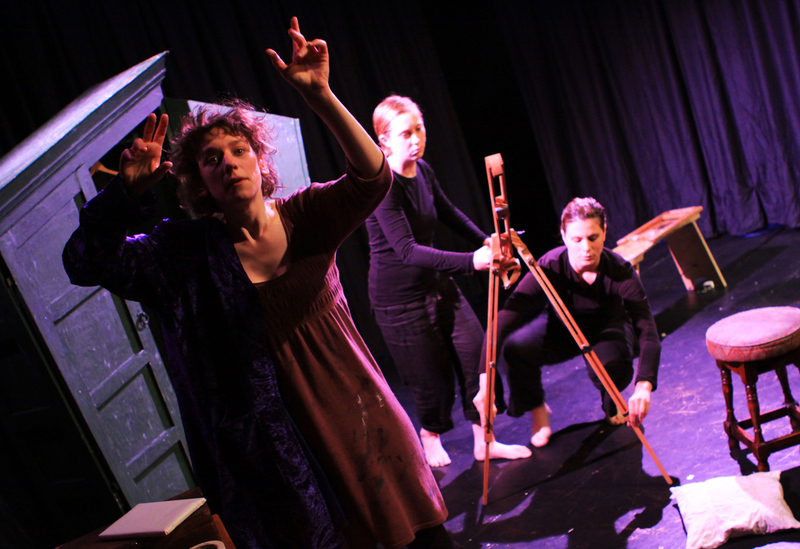 Their last co-production – and first puppet show they did together- The Fantasist was an attractive puppet play showing the dark depths and glorious heights of bipolar disorder. The Fantasist received a great national success. Described as “hilarious and utterly astonishing” (Edinburg Guide), “haunting and enchanting” (WhatsOnStage), the show is “ an examination of bipolar state which uses puppetry to seriously good effect” (Lyn Gardner, The Guardian), and was presented to numerous festivals in the UK (the Brighton Fringe Festival, the Suspense Festival of Puppetry in London, the Bristol Puppet Festival). It was a sell-out for two consecutive years at the Edinburg Fringe Festival in 2012 and 2013. The play subsequently toured nationally and internationally (UK, Ireland) with the support of Arts Council England. In 2016, destiny brought the company to leave the old continent and to settle in Latin America. There, Traversière co-produced a puppet show for adults with the Argentinean Lupa Compañia de Muñecos, entitled “Algún día, todo esto será tuyo” (One day, all this will be yours). The play is a joyful and touching insight about death and our relation to it. It was presented at the Pirologias Festival in Buenos Aires and toured in various cities of Argentina and received the support of the Instituto Nacional de Teatro de Argentina. 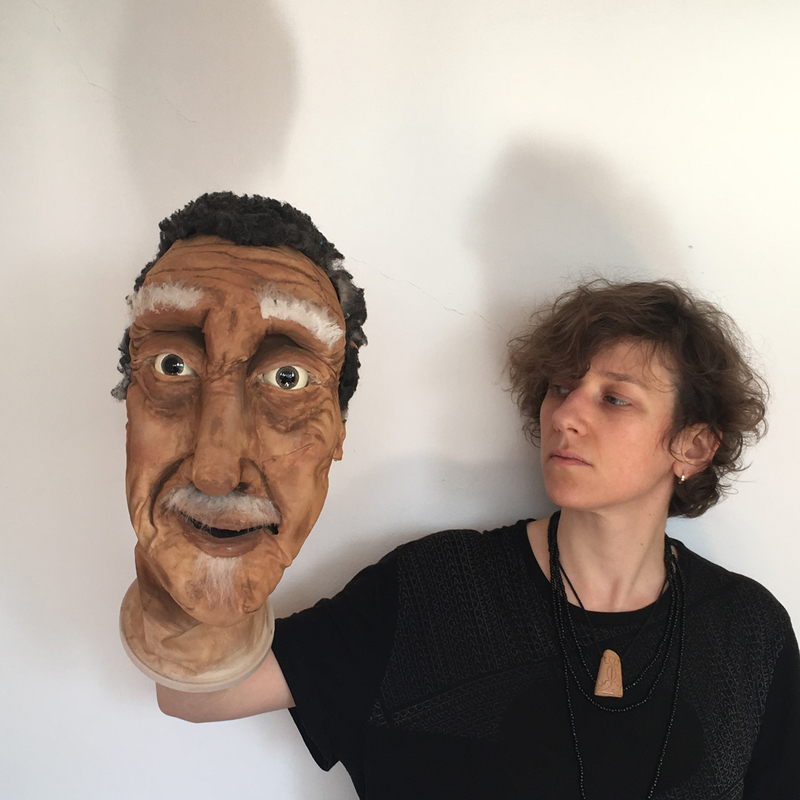 Traversière is currently working on the production of a solo puppet show, which will tour America Latina in 2018-19. Julia is French, but she’s caught the traveller’s addiction and has enjoyed travelling around on several continents. An actress, puppeteer, puppet maker, director and facilitator, she works internationally. She has collaborated with companies in Greece, the United Kingdom, France, Spain, Switzerland, Rwanda, Ireland, Italy, Lebanon, Chile, and Argentina. Living between France and the UK for many years, she has co-founded a company in each of these countries: Theatre Témoin in the UK, and Compagnie Traversière in France, working as an artistic director for the latter. She trained in physical theatre at the Ecole Internationale de Théâtre Jacques Lecoq in Paris and at LISPA (London international School of Performing Arts) in London. She discovered the art of puppetry later, in 2011, which was a huge blow in her mind, and she has been building up experience in that field ever since. At first an autodidact in this art, she then improved her skills as a puppeteer and puppet maker, through workshops with masters such as Handspring Puppet Company, Mandinga Arts, Natacha Belova (Cie Point Zéro, Belgium), Tita Iacobelli (Viaje Inmóvil, Chile), Nicole Mossoux (Cie Mossoux-Bonté, Belgique), Sergio Mercurio (Argentine), for instance. Since 2015 she has been working regularly in Lebanon. She’s made intervention as a facilitator with the NGO Al Jana, providing puppet workshops for social workers taking action in camps, and presenting shows for Palestinian and Syrian refugees living in the different camps of the country. She has also been collaborating with Clown Me In and Beirut DC on The Caravan, a street theatre project that gives voice to the refugees. She’s worked as an associated director and puppet designer on their productions The Caravan goes to school and Van 12, supported by UNICEF. She was also invited by Clown Me In as a puppet facilitator to take part in the CATCH Project – Creative Art For Change, where 12 female artists were trained in social therapy, game therapy, clowning, improvisation and puppetry so that they could then go to refugee camps around Lebanon to lead workshops to groups of teenage girls and women. Julia is now based in Chile, but who knows what’s coming next?